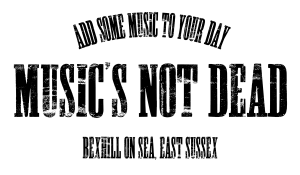 Music’s Not Dead “pop-up” now at the De La Warr Pavilion. Bexhill’s independent record store Music’s Not Dead is a “pop-up” at the De La Warr Pavilion, selling a wide range of vinyl/labels covering all music tastes. Browse the records and then have a coffee overlooking the sea!